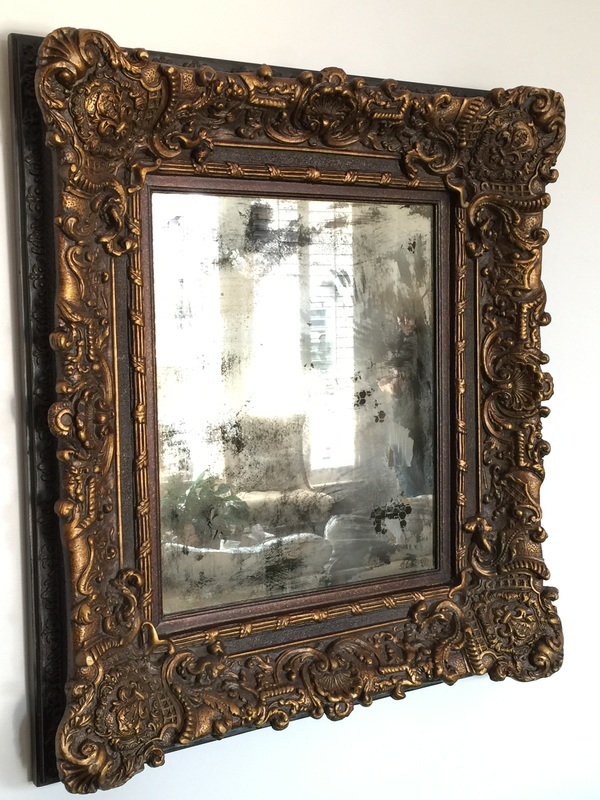 I select each mirror and, through a relatively labor intensive process, remove the backing and insert texture, color, scraps of paper and metal leafing to produce a one of a kind piece of art. What I love about these art pieces is that they are highly reflective and eye-catching, but their mysteries are only revealed when one views them close up. 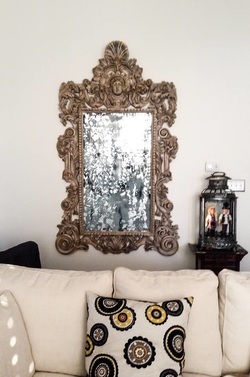 I love to use found vintage mirrors, but also have altered new ones for clients. Commissions gladly accepted! Click on an image below to go to its page!